We really enjoyed this place, each small detail in the house: every picture, every decoration, the textile. The whole atmosphere of the house is fantastic, the atmosphere of the place is too: the animals, the flowers, the see view. The room was perfect. Location was perfect. Everything was just perfect. It was peaceful . In walking distance from boulders beach . My only complaint is i wish we booked the room for more nights lol . The guesthouse its self was great, very cozy and well furnished, everything from towels to all cooking appliances we needed were there and more. Staff were excellent, very friendly and eager to help. Views we exceptional. Everything about this property was great. It’s the perfect size and for the price and location, you can’t beat it. Also, the view is stunning. The host was very sweet and thoughtful and made my stay just that much better. Highly recommended! Heather was extremely helpful, she contacted me a couple of days before to make sure everything was okay with the arrival. She also helped me arrange private shuttle to the airport, it has been an amazing stay. Thanks! The beds were so comfortable that my kids and I all slept really well the whole stay. Great kitchen and bathroom too! The bed was amazingly big and comfortable! The view was spectacular and the location was close to the penguins and a very nice restaurant. Heather communicated very well throughout, giving detailed instructions regarding the accessing the key. She also kindly agreed that we could check out late on Sunday as the Main Road was closed because of the cycle race. The honeymoon suite is lovely and clean - the view waking up to see the penguins at Boulders Beach is fantastic! We only stayed 1 night on our travels, but it was clean, bright and well equiped. The bed was comfortable and the bathroom clean and spacious. the kitchenette meant that we could get a take away and sit in comfort. 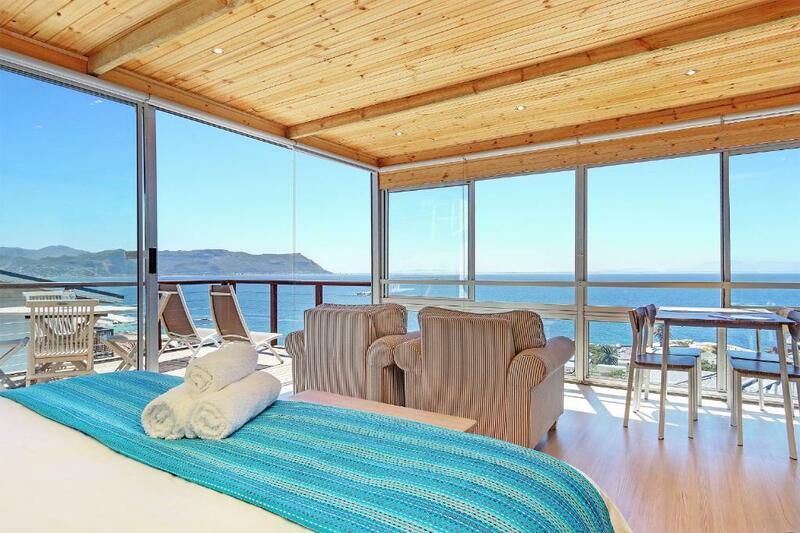 Lock in a great price for Penguins View Guesthouse – rated 9.3 by recent guests! 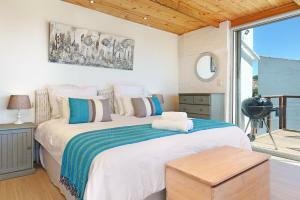 Penguins View Guest house has well-equipped accommodations featuring free WiFi in Simon’s Town, a 5-minute walk from Boulders Beach. Free private parking is available on site. 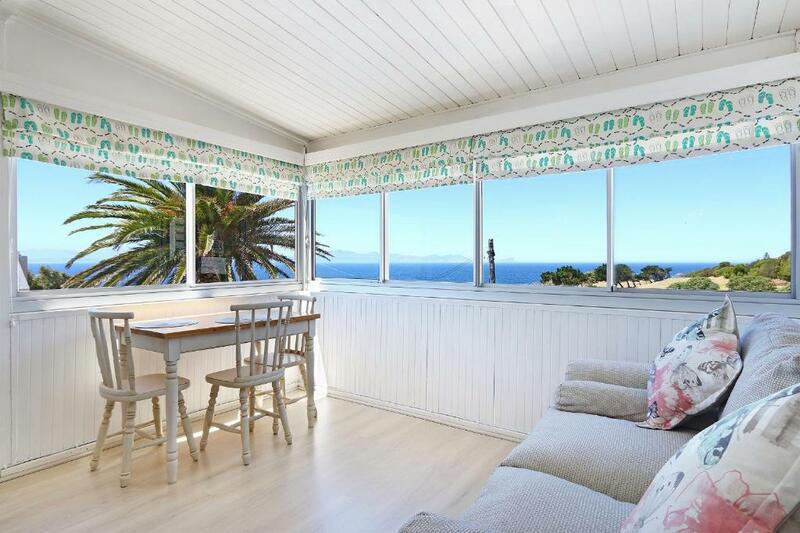 All units come with sea views and kitchen facilities. Some have a patio or balcony. The guest house has an outdoor pool, garden and barbecue facilities. Viewpoint over Penguin colony is 650 feet from Penguins View Guest house, while Simon's Town Country Club is a 3-minute walk away. Cape Town International Airport is 18 mi from the property. When would you like to stay at Penguins View Guesthouse? 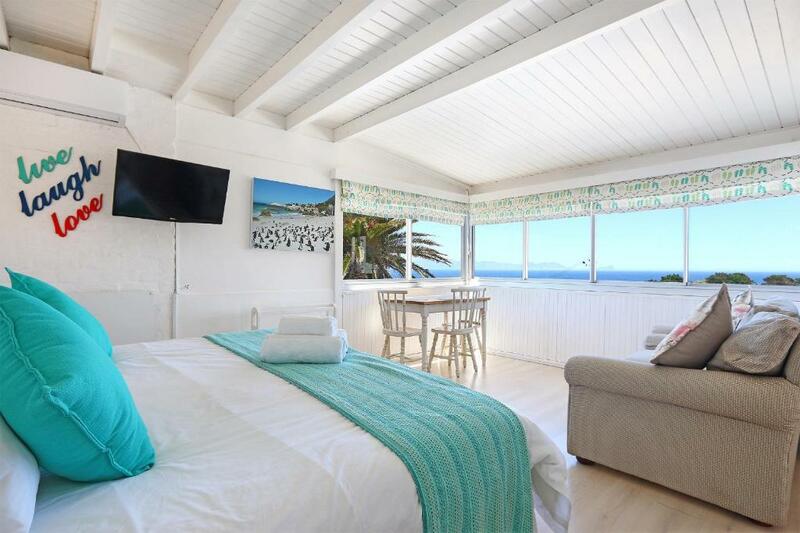 Within walking distance to Boulders Beach, the rooms of this apartment offer sea views and it features a flat-screen TV and access to self-catering facilities. 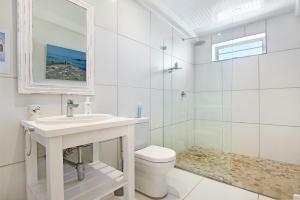 Within walking distance to Boulders Beach, this apartent offers a bathroom fitted with a walk-in shower. This apartment features a flat-screen TV and dining area. This villa features a seating area, oven and kitchenette. Heather and John will host you at this perfect spot near Boulders Beach with stunning views of False Bay. Relax on the deck, or take a 5 min stroll to sheltered beaches where you can relax on the golden sand or snorkel in the sheltered bays. Visit the penguin colony, and walk amongst their homes. This is a home away from home with all amenities and sheltered pool. You will fall in love with this beautiful spot and return again and again! John and myself are fun loving people who love the sea. John is a qualified dive instructor and would love to show you favourite spots to snorkel and dive. We are both sporty and have recently taken up golf! Simons town is a quaint, welcoming village with fabulous restaurants and delicious seafood. Browse the quirky shops, or sip well known Cape wines on the decks of the restaurants. Simonstown is also the Naval Base of the Cape and is steeped in history. 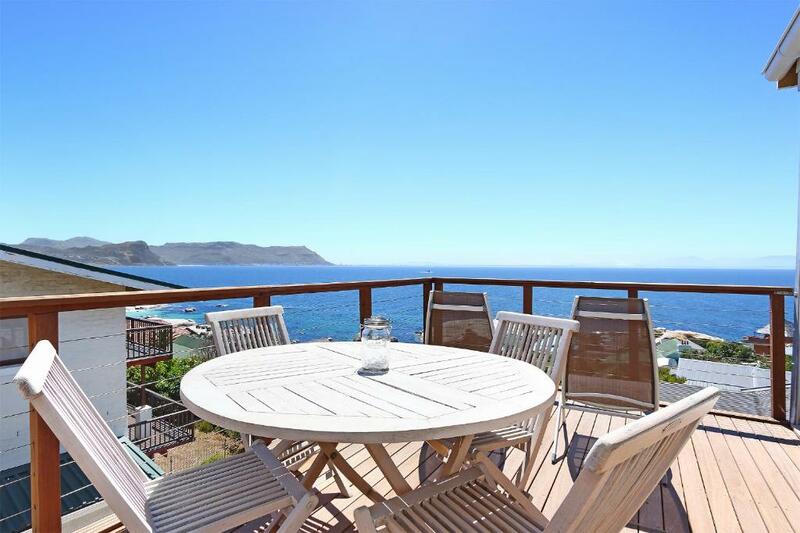 Cape Point is a short drive away as well as Clovelly Golf course. Simon's Town golf course is a stone's throw away. House Rules Penguins View Guesthouse takes special requests – add in the next step! Any additional older children or adults are charged ZAR 500 per night for extra beds. Penguins View Guesthouse accepts these cards and reserves the right to temporarily hold an amount prior to arrival. Please inform Penguins View Guesthouse of your expected arrival time in advance. You can use the Special Requests box when booking, or contact the property directly using the contact details in your confirmation. The unit was slightly crowded with furniture but it was still comfortable. We had booked for 2 nights but weren’t able to leave our luggage after the second night before our flight home - therefore I would not recommend this property to anyone who doesn’t have a car to store their luggage. It was difficult to block out the street light at night and also because it's on the corner its very exposed to the elements.... it was very windy and therefore quite noisy. Can hear the car traffic. The wonderful views from the windows. Rustic and modern mix. The view. Friendly owner. Location is superb. No traffic noise while sleeping. Cleaniless is on point and a bunch of bits and bobs that make it feel homey. Ideal getaway for couples!! Penguins are literally a hop and a skip away. If its windy be prepared for noise. Light sleepers will not be happy. A serviced room would have made it perfect. Heather is a fantastic host! She gave my wife and I a valentines gift of wine and chocolates. The view was beautiful beyond words. De view of the honey moon room is really magnificient. Lovely owners, who helped us when we locked keys in our hire car and great location for viewing the penguins in Simonstown. The spacious appartement with a garden with view over the bay. Clean and comfortable beds.